A normal probability plot, or more specifically a quantile-quantile (Q-Q) plot, shows the distribution of the data against the expected normal distribution. For normally distributed data, observations should lie approximately on a straight line. 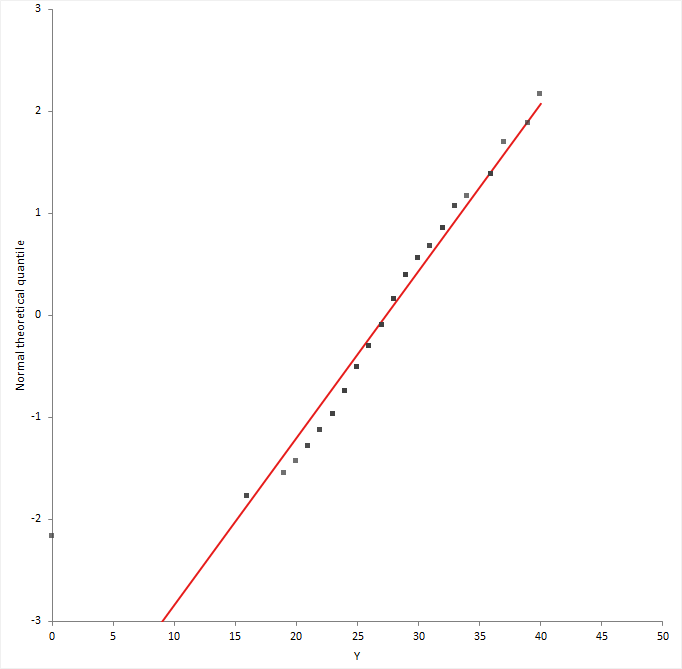 If the data is non-normal, the points form a curve that deviates markedly from a straight line. Possible outliers are points at the ends of the line, distanced from the bulk of the observations.